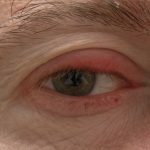 Blepharitis: What Is It and What Can I Do About It? Dr. Mandel is the only exclusive laser vision correction surgeon, in the New York Metro area, to have been selected as one of America’s Top Doctors by Castle Connolly, for 13 consecutive years. Click here to read more about Castle Connolly’s America’s Top Doctors distinction.